As a result of defending countless lawsuits arising out of Hurricane Katrina and its aftereffects, David possesses intimate knowledge, not only of the law related to property damage, business interruption, and construction defect claims, but also of the ways that catastrophic events shape the landscape of the law. David’s experience is not limited, however, to property damage, business interruption, and construction defect claims. Prior to joining the New Orleans office of Galloway, Johnson, Tompkins, Burr & Smith in 2005, David began his study of the law while working as an in-patient rehabilitation case manager where he coordinated a team of medical professionals in shaping the ever changing treatment plans of patients recovering from a variety of neurological and orthopedic impairments. David utilizes his life experiences to provide strategic counsel for businesses and insurance companies in wrongful death and catastrophic injury litigation; insurance defense and coverage; construction litigation; toxic tort litigation; commercial property damage and business interruption litigation; products liability; lease disputes; and subrogation litigation. 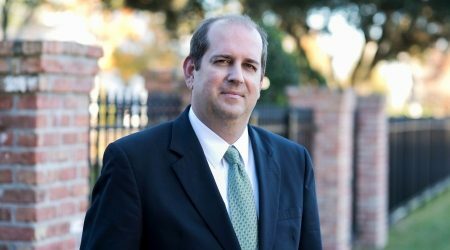 David’s skill and dedication has earned him recognition by Super Lawyers as a Rising Star for 2013 and 2014, and as a Louisiana Super Lawyer for 2015. David serves on the board of a local condominium association where he contributes to the growth, development, and management of the association.